Despite being Canada’s fastest growing city, few people, especially south of the border, have even heard of Saskatoon, the largest city in the prairie province of Saskatchewan. I’m just back from a few days there; I’ve barely scratched the surface, but here’s a window into a destination you should know about. Saska-where? 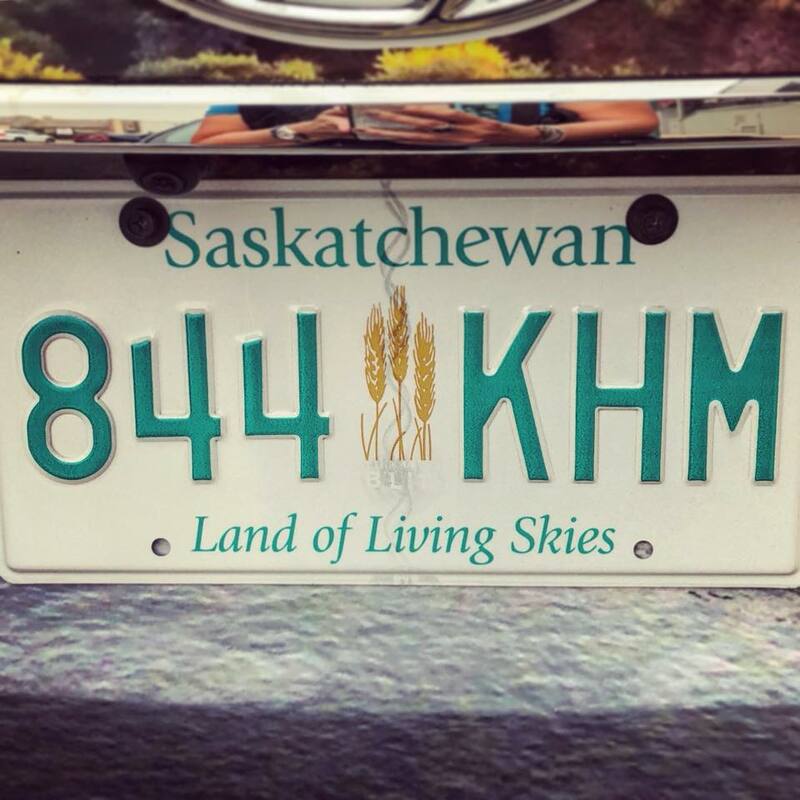 Here’s where I’ve taken you: Saskatoon, the largest city in the Canadian prairie province of Saskatchewan. This town is named after a local berry, the saskatoon, whose flavor and color tinges everything from tea to macarons (these from Little Bird Patisserie). Just as sweet are Saskatonians (these also from Little Bird). If there are disagreeable and peevish locals, I haven’t met them. Not surprising that this prairie country with roots that go back six millennia and a growing immigrant population has developed a food scene reflective of those influences and insistent on fresh and local sources (one example is Sticks and Stones). There’s a treasure hidden in this seemingly flat and featureless land—a lush valley that is an archeological record of human habitation going back 6,500 years. Wanuskewin Heritage Park is Canada’s longest active dig. One of the most interesting things that occurred here: pre-European-contact indigenous people would funnel bison over cliffs to hunt them (called a bison jump). 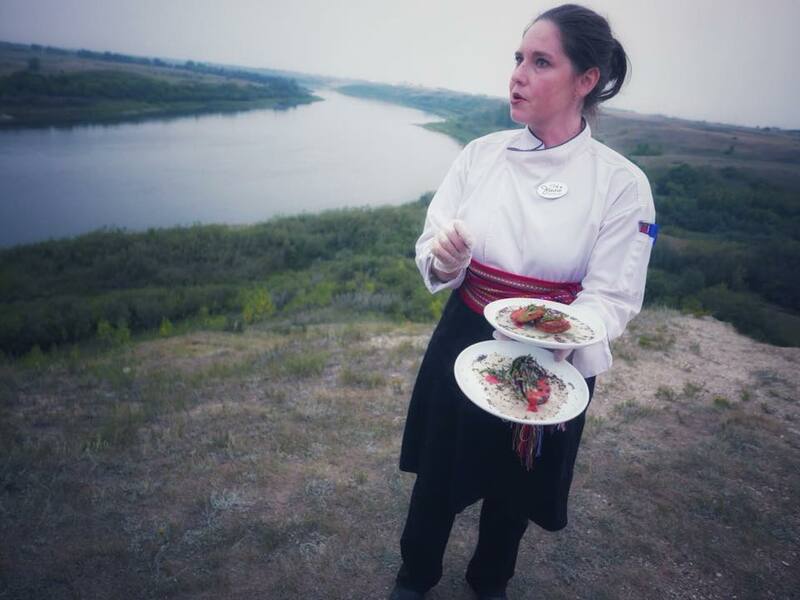 My contribution to science: a 500-year-old bison bone “frag.” The site is on the short list for UNESCO World Heritage designation; programs include roasting bannock bread and a mostly zero-kilometer gourmet meal prepared by Métis chef Jenni Schrenk. The backstory of how this site came to be is a fascinating partnership between indigenous and non-indigenous. 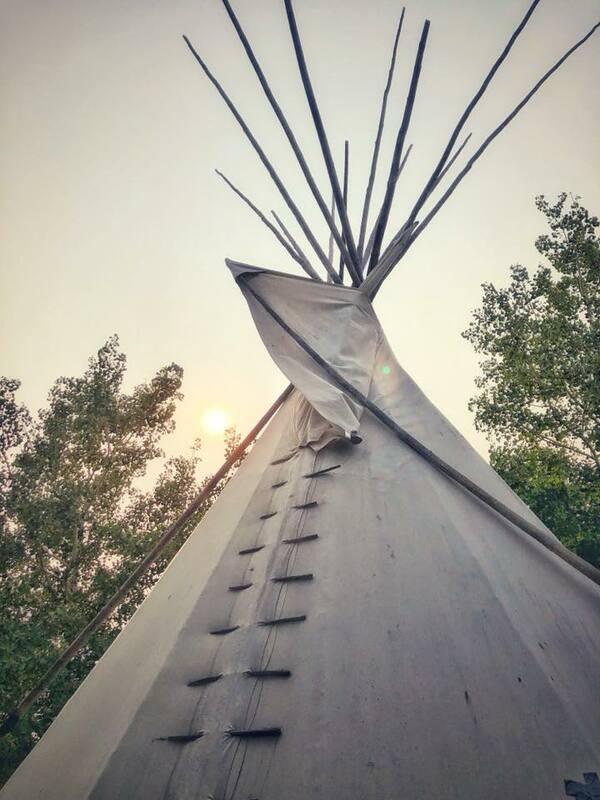 Shall we spend the night in a tipi? Alas, wildfires from British Columbia, two provinces over, makes it too smoky to do so. Saskatoon, Saskatchewan. 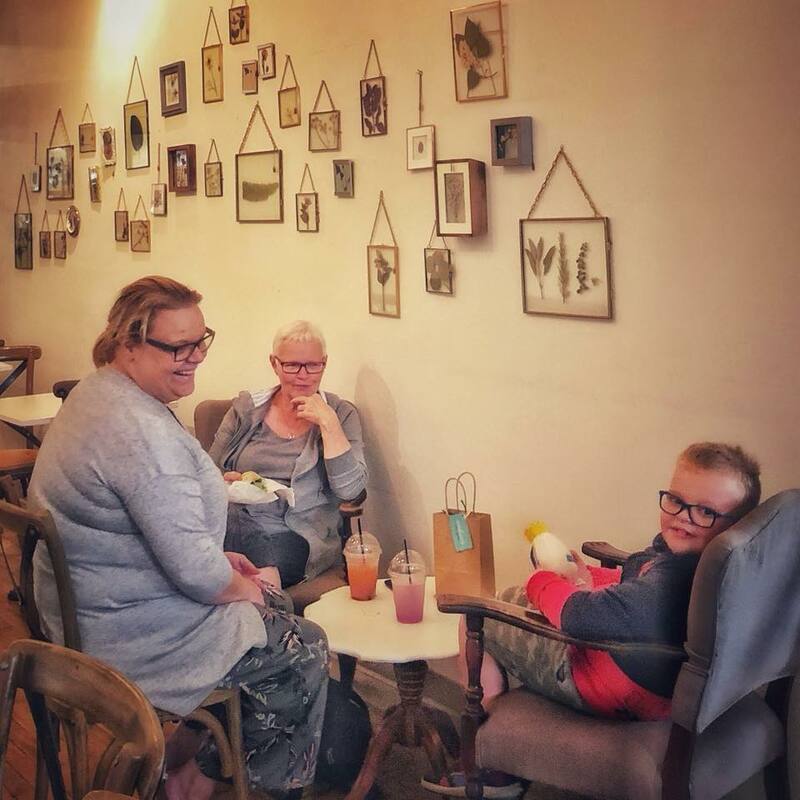 Cool ’hoods with arty vibes in S’toon: Thrift shop/coffee bar combo at Back to Coffee Beans in Mayfair; and the mushroom/bunny wallpaper and pike ceviche at Hearth in the Exhibition district. Saskatoon, Saskatchewan. Singer’s muse: Indie stores and restaurants characterize the Nutana neighborhood, often called Broadway for the avenue that runs through it. Many of the walls have murals. Joni Mitchell sang her first gig here, in a club that is now the restaurant Calories (a local fave known for locally sourced ingredients and decadent desserts) and frequented the Art Deco Broadway Theater a few doors down. The avenue leads to the Broadway Bridge over the South Saskatchewan River. The bridge makes a cameo in the Saskatoon native’s song “Cherokee Louise” and it is from that vantage point that she painted a self-portrait that graces the cover of her album “Clouds.” (The castle-like building in the distance is the Bessborough, a former Canadian Pacific railway hotel now a Marriott. It’s on the album cover and is also where we’re staying.) Saskatoon, Saskatchewan. Canada’s fastest growing city nevertheless retains a small-town, neighborly feel. It starts even before you leave the airport parking lot with an attendant’s response to a question: “Now, there’s an interesting story...” and continues all day with pleasant interactions with store owners and hellos exchanged with passers-by. As restaurant co-owner Thayne Robstad of the buzzy new eatery Hearth told me, “Unlike in other cities, chefs and owners here are more cooperative than competitive. We’re not too many generations removed from the settlers and pioneers of the prairie who learned to help each other or else they wouldn’t survive.” This weekend, that old-timey community spirit is on full display at the Show and Shine, a car show of classic cars. In the evenings, cars cruise up and down 8th Avenue, with people setting up camp chairs along the strip. Our primo spot is the walk-up Dairy Queen. I feel like I’m in a movie and any moment Danny, Sandy, and Rizzo might show up. Saskatoon, Saskatchewan. Boomtown: Saskatoon may have begun as a Temperance colony, but across the river and on the other side of the tracks, in Riversdale, things were not so temperate. This commercial area attracted the new waves of immigrants—Ukrainians, Chinese, First Nations, Filipinos—and is still one of the most diverse neighborhoods in the city. Lower rents and efforts to revitalize the district have led to an influx of creatives and makers, including Nine Mile Legacy, a nanobrewery whose co-owner Shawn Moen told me, “Here in Saskatchewan we have always shipped out our raw materials as farmers. Only now are we starting to make things with what we produce. It’s wonderful to be able to serve beer to the very people who grew the grain.” At The Hollows, chefs Christie Peters and Kyle Michaels leased an old landmark Chinese restaurant, kept all the decor, and serve an eclectic fine-dining menu based on sustainable practices including foraging and near-zero waste. Said Peters, “We’ll buy an entire cow and I’ll make recipes around parts of the cow, and then make soap out of the tallow; I even learned how to tan hides to make leather.” A shop above the restaurant vends the resulting products and cool, curated stuff she finds in thrift stores. The Saskatoon Farmers Market is a great place to pick up Saskatoon berry pies, local honey, and fresh boar sausages. Saskatoon, Saskatchewan. Song of the river: At the center of it all is the South Saskatchewan River, about which Joni Mitchell sang, “Oh I wish I had a river I could skate away on; I wish I had a river so long I would teach my feet to fly.” Seven bridges span the river, and paths and parks line long sections for strolling, biking, and onewheeling. On the water there’s kayaking and paddle boarding. Saskatoon, Saskatchewan. This prairie city makes for a surprising arts and cultural hub. Did you know that the world’s largest collection of Picasso linocuts is in Saskatoon? Neither did I. It’s in the gleaming new Remai Modern. The museum tackles all sorts of questions through contemporary art. And after you’ve thought big thoughts, have a bite at the restaurant, with a great view of the river. Saskatoon, Saskatchewan. Hot wheels: Show & Shine weekend brings nearly 1,000 classic cars to the city. There’s plenty of car talk and looking under the hood and fantasizing about one day owning a little deuce coupe, pink Cadillac, little red Corvette, or low rider. Saskatoon, Saskatchewan. You cravin’ Ukrainian? Saskatoon has what may just be the world’s only drive-through serving traditional perogies just like Baba’s (if you we’re lucky enough to have a Ukrainian grandma), handmade by women such as Kristina Golubyeva. Because everyone knows perogies make everything better. During the holiday season, they can make up to 15,000 perogies a day. Also on the menu: Cabbage rolls and borscht. смачно! Indigenous cuisine is hard to define, but this stuff comes close. Roast partridge, seared seal loin, wild foraged iced tea, lobster ice cream, made by well-known indigenous and non-indigenous chefs like Scott Torgeson, Bill Alexander, Joseph Shawana, and shown, Charlie Sark and Murray MacDonald, and served at the Taste of the Nations event, which kicks off the International Indigenous Tourism Conference. Saskatoon. One last act of #Saskatooning: a stop on the way to the airport for frozen perogies and cabbage rolls. I bought six one-kilo bags. Too much?